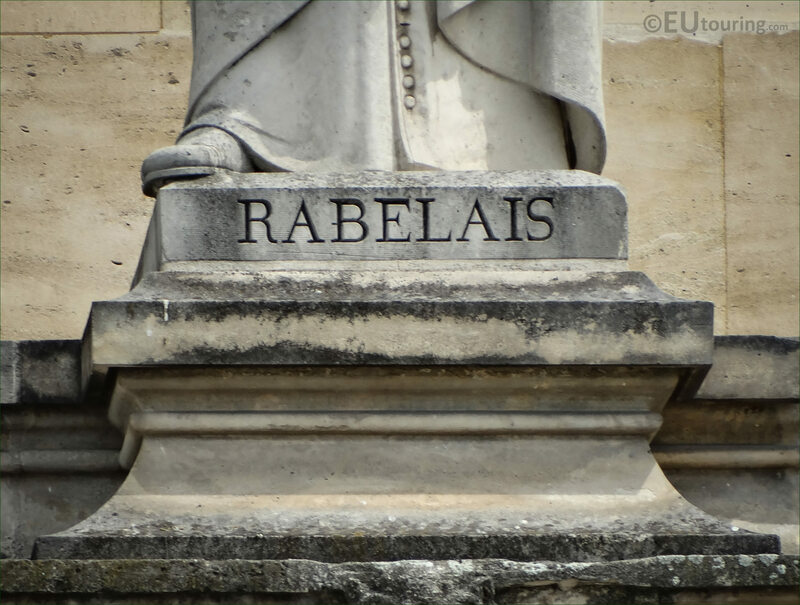 We were in the 1st Arrondissement of Paris within the Cour Napoleon of the Musee du Louvre admiring the facades, when we took these high definition photos of showing a statue of Rabelais located on the Aile Turgot wing. 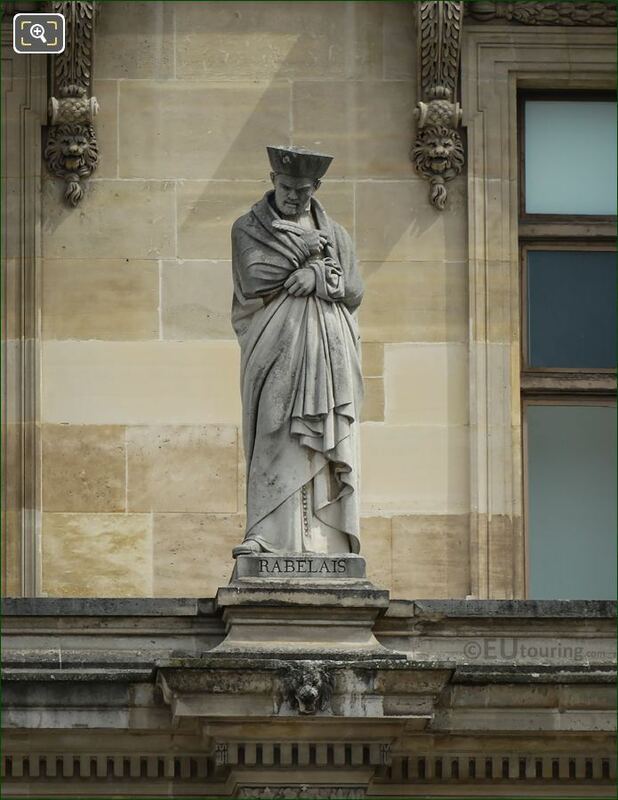 This first HD photo shows the full statue of Francois Rabelais, which is located on the first level balustrade of the Aile Turgot wing, and when you are looking at the facade from the Cour Napoleon, you will find that this is positioned as the second statue from the left hand side. 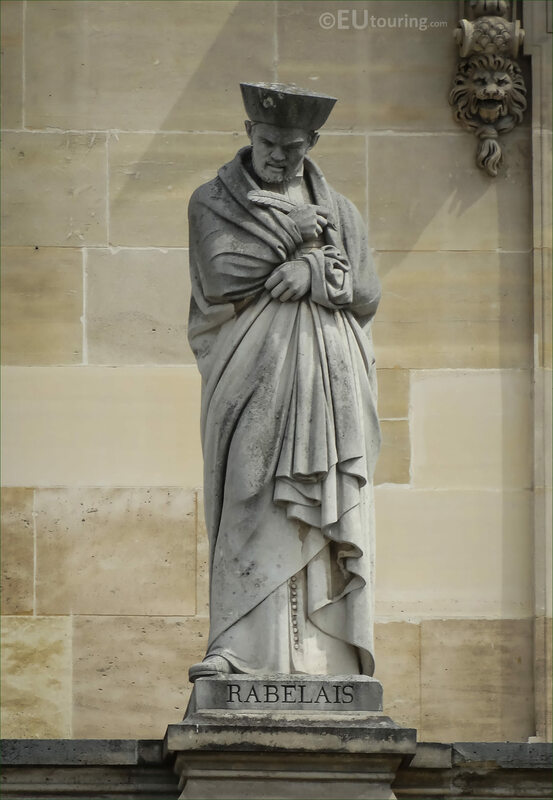 Now this shows a slighter closer view of the stone statue that was produced by Louis Valentin Robert, who is also known as Louis Elias Robert, and born in June 1821, he became a French sculptor producing statues for several famous buildings and tourist attractions in Paris including the Palais du Louvre. 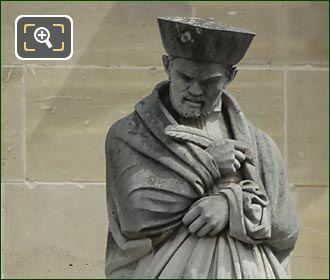 And in this last high definition photograph showing the plaque located at the base of the statue, you can see that this represents Francois Rabelais, who was born sometime in the latter part of the 1400s, yet there are no records that have been found to give precise details as to where or when he was born. 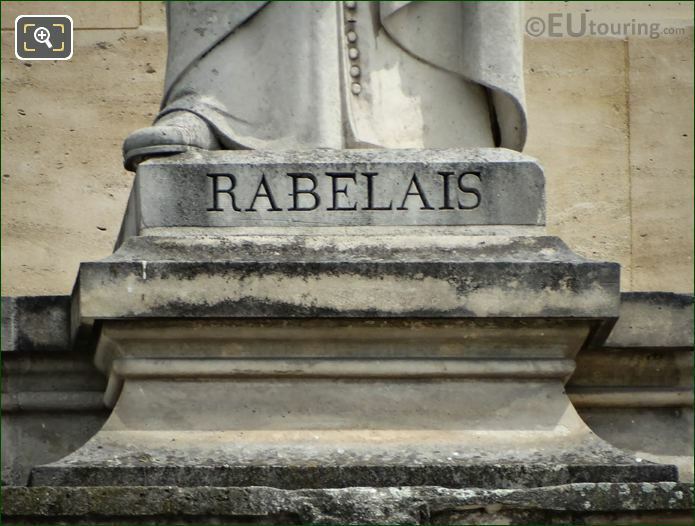 However, he became a major French Renaissance writer and introduced Greek, Latin, and Italian loan words and direct translations of Greek and Latin compound words and idioms into French, plus Rabelais used many dialectal forms and invented new words and metaphors. And some of these have become part of the standard French language and are still used today, which has meant that he is regarded as one of the authors who has enriched the language in a significant way.